Making high-end, professional-looking name badges has never been easier! Simply review and print what we designed for you. It’s literally just one click on your Whova web dashboard! 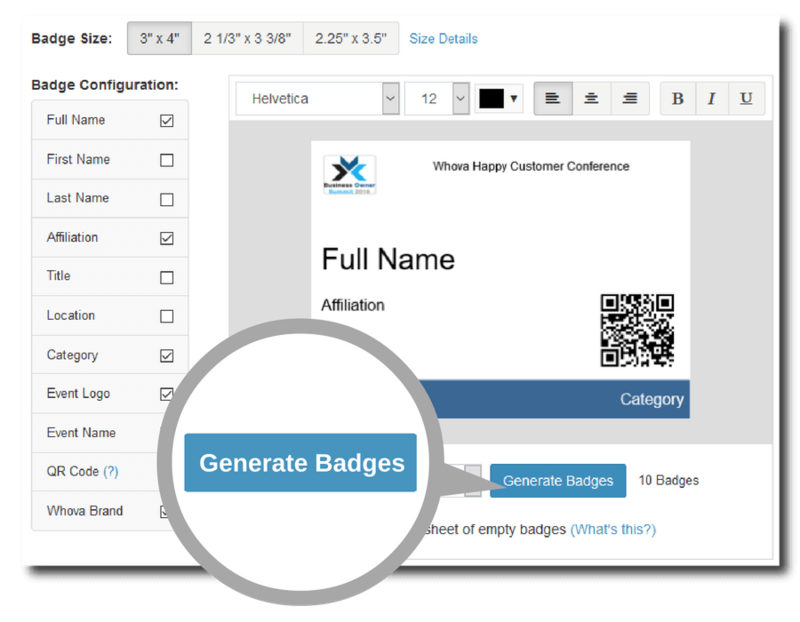 Custom-make the design, badge size, and content of your name badges to make your event’s brand shine. 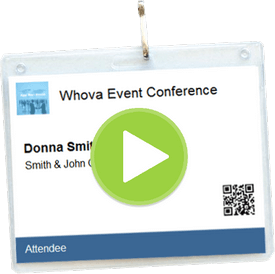 You can easily include a unique QR code for each of your attendees! Are some names too long to fit in the design? 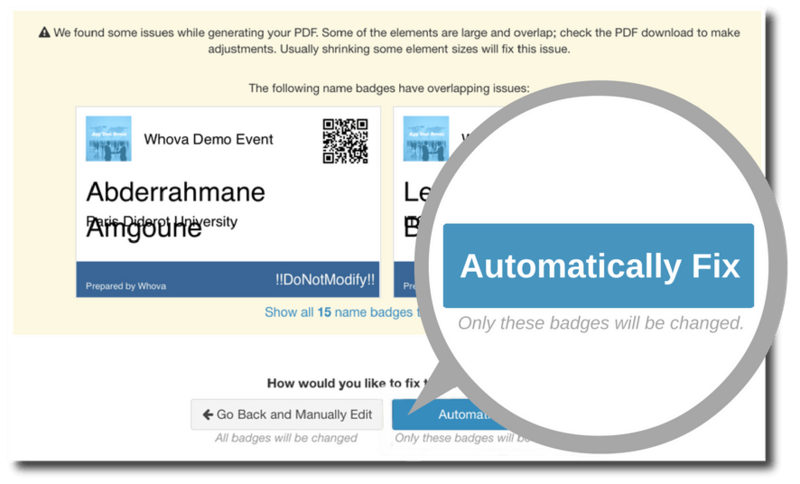 Whova automatically detects them and resizes fonts only for those problematic badges, and allows you to review them.